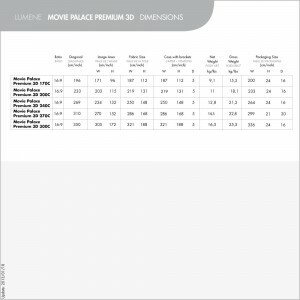 New from Lumene, the Movie Palace Premium 3D is a fixed screen with a 3D canvass. Featuring a higher gain of 2.0 and gray color, this canvass offers high contrast and high quality image thanks to the best possible luminosity. With the technology featured in the Movie Palace Premium 3D, you can now enjoy rich colors thanks to highly pronounced contrast. Enjoy high definition with a canvass that is adapted for 3D projection, reproducing precise and exceptionally vivid images, even in relatively bright environments. 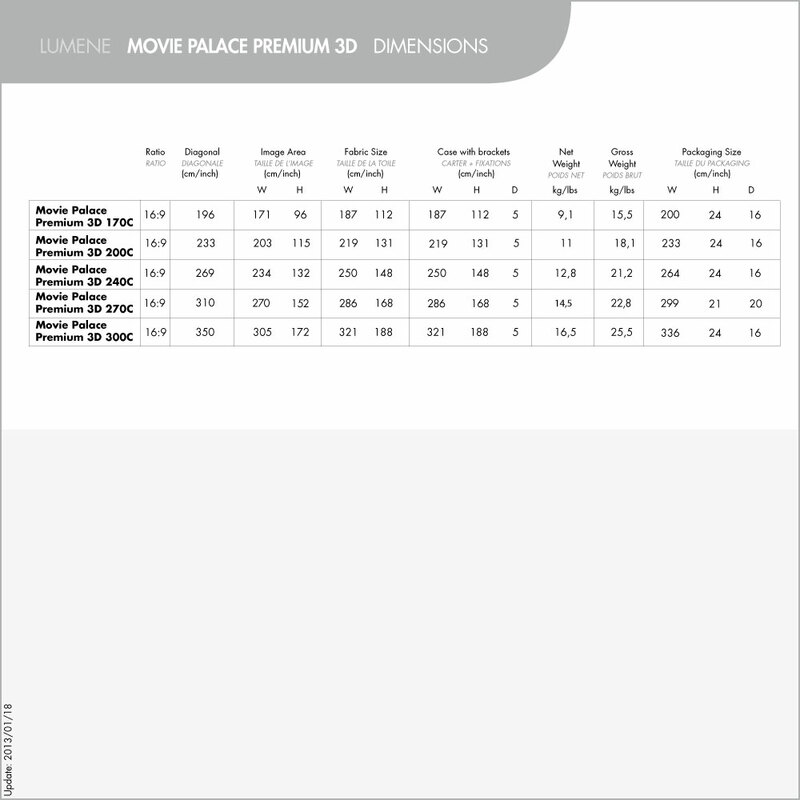 The Movie Palace Premium 3D is undoubtedly the best choice for your dedicated screening room. The Majestic Premium is today’s most complete motorized screen. Its top of the range screen material offers a perfect colorimetry and a large field of vision. Its opaque black back allows an installation in front of a window and its black borders improve the contrast level. The fast and safe attachment system allows an installation on wall, ceiling or suspended. This fastening system has a large latitude for brackets placement: an important advantage for specific installations. 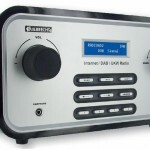 It uses a Somfy tubular motor, reliable and quiet. Its control interface includes an integrated infra red command (with a fine adjustment system for the screen material positioning), a provided deported sensor (allowing the casing to be slot in), a trigger input and a RS232 interface for home automation.